First Friday Opening Reception, July 7, 6-10 p.m., Save the Wurth House! Chartreuse Contemporary Art Space on historic Grand Avenue announces its July 2017 show, “The Great Escape,” with artist Rick Naimark. Summer in Phoenix reminds us all that we all need to escape every once in awhile. Come escape to Chartreuse at 1301 Grand Avenue for the “The Great Escape,” which will run July 7-22, with an opening reception from 6-10 p.m. on First Friday, July 7. “The Great Escape” features the artwork of Rick Naimark, downtown resident and emerging artist. Naimark’s colorful contemporary paintings are full of motion, texture, and shape, and are escapes in and of themselves. Naimark takes and deconstructs simple themes and shapes into abstractions to delight the eye and challenge the mind. Come enjoy his abstract landscapes and sometimes subtly ironic creations that are based on the natural environment, the urban landscape, and current events. Using mostly acrylics, Naimark almost never sits down or touches a paintbrush, instead uses spatulas and other non-traditional methods of applying paint and other media. The goal: create complex character and illuminant blends of color embodying the intensity and complexity of Arizona, urban life in Phoenix, and our increasingly complex world. Rick Naimark grew up in Oregon and has lived in Phoenix since 1986. He worked for the City of Phoenix for 29 years and served as Deputy City Manager until 2015. When not painting, he serves as an Associate Vice President at Arizona State University and volunteers on several nonprofit boards, including ArtLink, the Friends of Phoenix Public Art, and the Arizona Science Center. He and his wife, Dana, live in the Roosevelt Neighborhood and have two adult children, Jared and Nathan. 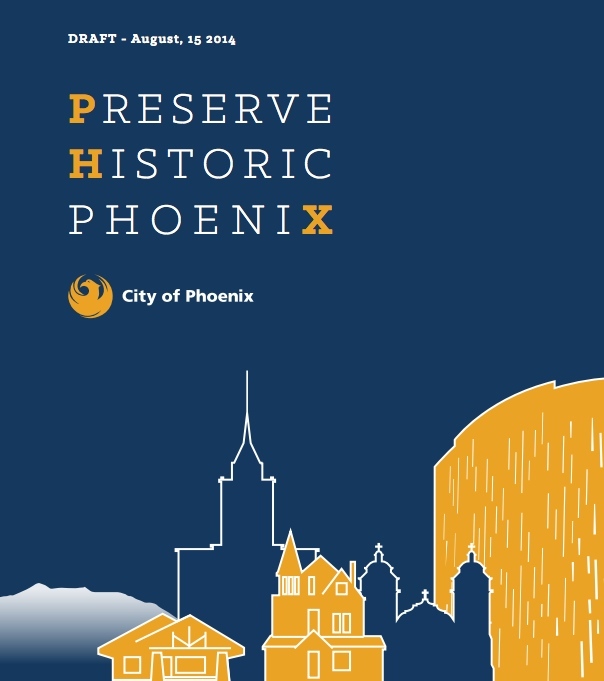 To comment on the draft of PreserveHistoricPHX, (1) attend one of the public meetings, (2) mail comments to the Historic Preservation Office, 200 W. Washington St., 3rd Floor, Phoenix, AZ 85003, or (3) email historic@phoenix.gov and reference Plan Comments. Please submit initial comments by the close of business on Sep. 21, 2014. 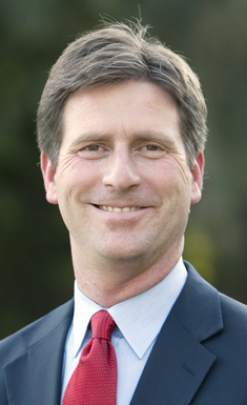 [Source: Greg Stanton, Mayor of Phoenix, Arizona Republic, January 4, 2012] – To be a successful and competitive city, we cannot ignore our past accomplishments. We must value our past and build on it. This principle is true in business, government, and culture, especially preservation of our architectural heritage. Our architectural history is a necessary part of Phoenix’s future economic development, but our record is mixed, some successes and some disappointments. It is time for Phoenix to revisit and improve its policy on historic preservation. Countless studies have demonstrated that historic preservation is an economic engine. It costs less to reuse old buildings than to construct new ones. 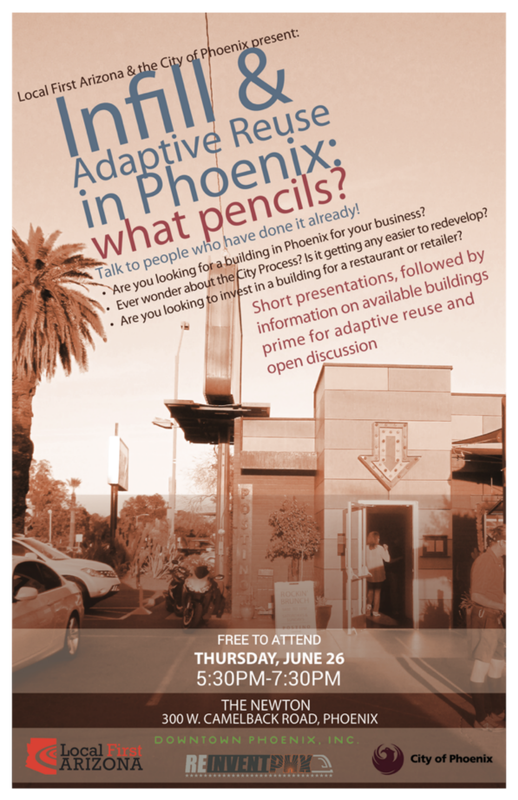 A recent analysis that examined Phoenix and other cities also showed conclusively that reusing old buildings is in almost every case environmentally sounder than new construction. Preserving old buildings creates a sense of place that is key to attracting and keeping talented employees and creative businesses. On every level, historic preservation significantly benefits a community. Phoenix recently dodged a historic preservation bullet. One of Frank Lloyd Wright’s most significant buildings – the David and Gladys Wright House – was threatened with demolition. For months, many volunteers worked to save the building. These are the unsung heroes who labored behind the scenes to save the house: an anonymous donor to whom we all are grateful, Larry Woodin and Janet Halstead of the Frank Lloyd Wright Building Conservancy, Grady Gammage Jr., Will Bruder, Taz Loomans, Jim McPherson, Scott and Debbie Jarson, Alison King, Frank Henry, Roger Brevoort, Christina Noble, Colin Slais, Jennifer Boucek, Michelle Dodds of the Phoenix Office of Historic Preservation, Robert Joffe, and many others too numerous to list. 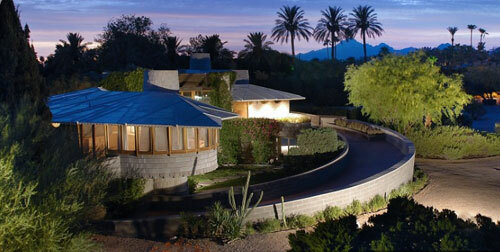 Preservation of the David Wright House is a victory for Phoenix, our state, and even globally. The effort has taught a sobering lesson: Phoenix’s approach to historic preservation, which has served us well for three decades, is not always adequate to accomplish our goals. We need to build on our past and improve our approach. Phoenix is maturing as a city, so we have an increasing number of historically significant buildings. Our current historic preservation tools sometimes are not up to the task. It is time to begin a community conversation to reevaluate our priorities, policies, and procedures so we can be more effective in historic preservation and at the same time respect private property rights. Phoenix has a proud history of building consensus through compromise. With thoughtful and respectful discussion, we can develop new policies that are right for Phoenix. Beginning in the new year, I will assemble a team of skilled people to begin tackling this problem in an open process that will involve the entire community. 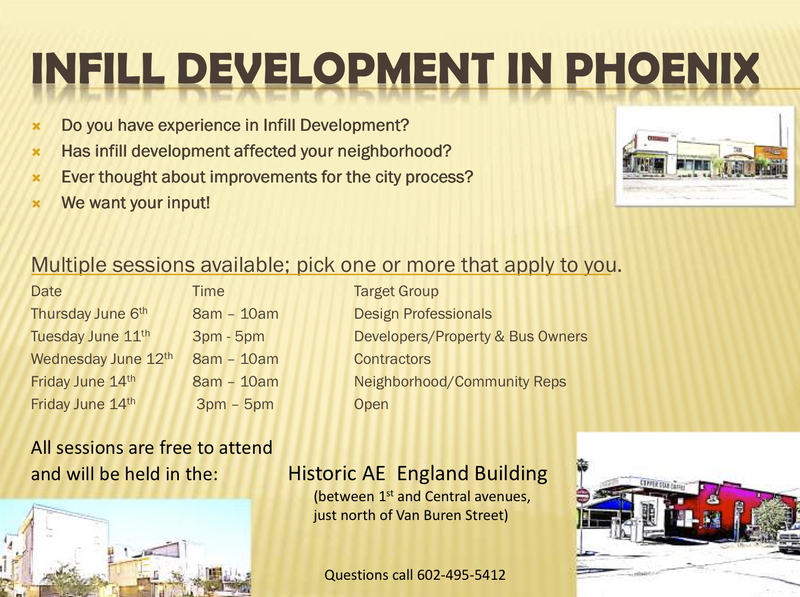 With improved historic preservation policies, Phoenix’s best days are ahead. [Source: Frank Lloyd Wright Building Conservancy] — A remarkable Frank Lloyd Wright house in Phoenix is under threat of demolition. Wright designed the house for his son David and it is unique among all his residential designs. Your support is needed to urge the City of Phoenix to approve historic preservation designation for the house thereby extending its temporary protection from demolition. Individuals interested in saving and preserving the property may sign the change.org petition here. Arizona Preservation Foundation alert here. Modern Phoenix article on Arcadia teardowns here. Many visitors to downtown Phoenix rarely step south of the railroad tracks. But near the backsides of US Airways Center and Chase Field, visitors who do venture there will find streets lined with old brick and brownstone warehouses. Several of these centenarian structures are vacant and decaying, their walls coated with the grime of neglect and age. A few have been preserved and reopened, such as the Duce restaurant, bar and clothing store near Central Avenue and Lincoln Street. A Phoenix man obsessed with history, Michael Levine, 41, is determined to save the properties. He bought and preserved the fruit-company building that the Duce occupies. Now, he is devoting a few weeks to restoring the original facade of the old Phoenix Feed & Seed Co. warehouse near Jackson and Second streets. Levine said he hopes the building will get more recognition when Arizona celebrates its centennial next year. He is finishing his first phase of renewal for the building, which was constructed sometime around 1900-05. A full preservation effort will cost about $2 million, which he cannot afford on his own. Last week, Levine was seen standing on top of a lift, aiming the long nozzle of a pressure washer to blast each brick with 250-degree water at 1,000 to 1,500 pounds of pressure per square inch. Grime and crusts of old paint streamed down the building’s face into puddles on the old seed store’s dock. Each blast exposed more of the building’s history. Signs had been painted and repainted over each other. “Phoenix Feed & Seed” of the early 1900s became, in the 1940s, “Arizona Paperbox Company,” where workers manufactured the lightweight paper boxes that bakeries used for packing doughnuts, turnovers and other pastries. “This building predates the railroad in Phoenix,” Levine said, recalling that the first tracks in Phoenix were laid around 1926. Levine, who grew up in Brooklyn, N.Y., got the building listed on the Phoenix Historic Property Register in 2004, a year after he bought it. He has scoured old newspaper articles and photos to piece together details of its former owners, tenants and uses. The building was sold in the 1940s to Monty Mansfield, a Tucson businessman who spearheaded an airport authority in Tucson. Although Levine often looks back, he also looks ahead. He said this building will go through another personality change. Within the next year, Levine wants it to become the home of a farmers market, flanked perhaps by a cafe or other eatery. He already has cleared an initial hurdle: Last week, he received approval from a Phoenix Zoning Adjustment hearing officer for the market.